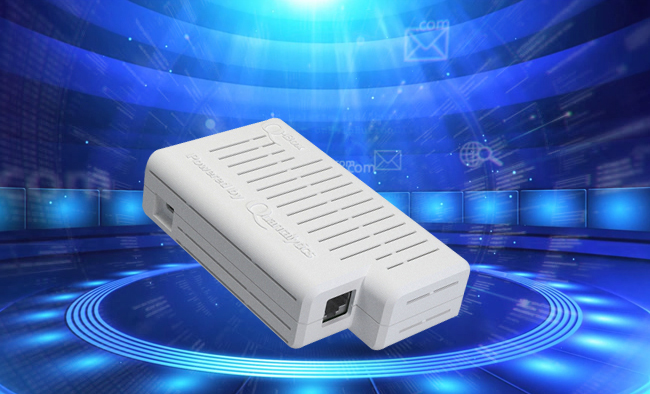 The Q-IDS® is a stand-alone, ultra-small-form-factor, ultra-low powered Intrusion Detection System (IDS) that includes two of the leading open source intrusion detection software packages available today. Suricata is available for wired IDS, and Kismet, for WiFi. Each includes a web GUI. No Linux or Command Line Interface (“CLI”) experience is needed to use either of these IDS tools, thereby opening up a deeper level of network protection to businesses and organizations who might otherwise lack the necessary internal skills for successful use of an IDS system, as well as providing a deeper, in-depth level of protection for businesses and organizations already using an Intrusion Detection System. In addition to Intrusion Detection, the Q-IDS includes Xplico, a packet capture and forensic analysis tool for suspicious packets, including reconstructing entire messages, chats, etc. We have also included DDoS-Deflate to automatically abate and mitigate DDoS attacks. Our ultra-compact design permits exceptionally flexible and creative deployment options as well significant electricity and space savings. Suricata is a leading open source enterprise-class Intrusion Detection System (IDS). Suricata is a high performance multi-threaded IDS and IPS (Intrusion Prevention System) which uses 2 rule sets, the Specialized Emerging Threats Suricata Ruleset and the VRT Ruleset. It also includes LuaJIT, ("LUA"), a scripting language and engine for additional analysis and functionality, including custom detection rules for items not "seen" by the provided rulesets, and "EVE", a JSON event and alert output tool. Suricata is integrated with Logstash (see below) for easy log analysis and alerting. Logstash is a leading open source tool for managing events and logs. Logstash collects logs, parses them, and stores them for later use via an integrated Web-based search tool. Logstash is also integrated with Suricata to leverage its usefulness for Network Admins. Logs are much easier to examine for anomalous network behavior when processed by Logstash. Kismet is an 802.11 Layer 2 wireless (wifi) network detector, sniffer, and intrusion detection system. Kismet can sniff 802.11 a/b/g/n traffic. It also contains a plugin for sniffing other media, including DECT. Kismet passively collects network traffic and can detect, given sufficient time and traffic, hidden networks, and can infer the presence of non-beaconing networks from data traffic. Kismon is a gui client for Kismet. Using Kismon, admins gain the following: a live map of the networks; file import: netxml (kismet), csv (old kismet version), json (kismon); file export: kmz (Google Earth) and all import formats; a signal graph for each wifi network. Kismon can connect to multiple Kismet servers simultaneously. DDoS-Deflate is an leading open source tool to mitigate and abate Distributed Denial of Service (DDoS) attacks. IP addresses from attacking servers are blocked for 10 minutes, then automatically unblocked. Likewise, blocking is done by connection state. This automates DDoS abatement for all Level 7 DDoS attacks. The Q-IDS has both 1000 mbps (gigabit) NIC and 802.11 b/g/n WiFi.Intrusion detection can be set up on both network interfaces. Both can be active at the same time. The Q-IDS network appliance is also available as a Virtual Machine (VM). The Q-IDS is completely administered through a Web GUI. All package usage is via Web interfaces, thereby opening up sophisticated intrusion detection, network forensic analysis, and network monitoring to even novice network administrators. No Command Line Interface (CLI) or Linux skill is required. Notifications are provided by e-mail using SendMail, which is configured with a module in Webmin, and syslog entries. Suricata and Kismet have been integrated with Nagios® in the Q-IDS as another notification route. SMS notification is available as an option. The Q-IDS network appliance can also be integrated with the Q-Log® network appliance or any other Syslog or SIEM solution. Q-IDS® and all registered trademarks above are property of their respective owner(s).